The sixth World Championship Ice Hockey tournament to be held in Dumfries in just five years concluded at the Ice Bowl on Saturday 12 January. 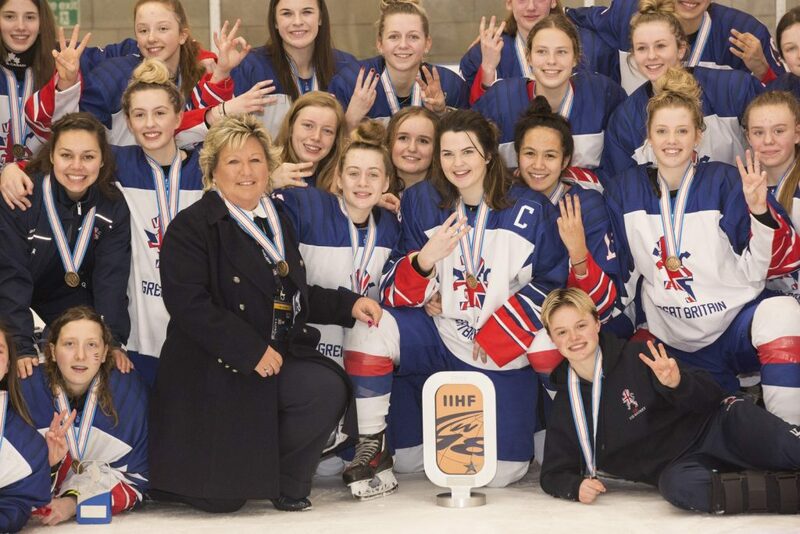 France took Gold, Norway Silver and Great Britain secured a third-place finish and the bronze medal in the International Ice Hockey Federation’s Women’s Under 18s World Championship, Division 1 Group B. Young Dumfries starlet Megan Gourley, from Dumfries, was an invaluable part of the Great Britain squad and experienced plenty of game time. In April (2nd until the 8th) another World Championship will take place at the Dumfries venue, to further promote the sport and give a boost to the women’s game in Great Britain. Six countries spanning the Globe will descend on Dumfries for the International Ice Hockey Federation’s Women’s Division 2A tournament. The national teams of Australia, the People’s Democratic Republic of Korea and Mexico will make their way to the Ice Bowl to play the hosts, Slovenia and Spain to see which country gains promotion. The World Championships double header is an incredible boost for the Ice Bowl, British Ice Hockey and the economy of Dumfries and Galloway. The Council estimates that hosting the Women’s Under 18s event has created an economic boost for Dumfries and Galloway in excess of £170,000. The Norwegian and Chinese teams and their support staff were based in Dumfries from the 2 January, four days before their first fixtures began, to aid their preparations, which increased the revenues of local hotels. Great Britain had three days in town to fine tune their play before the tournament started.